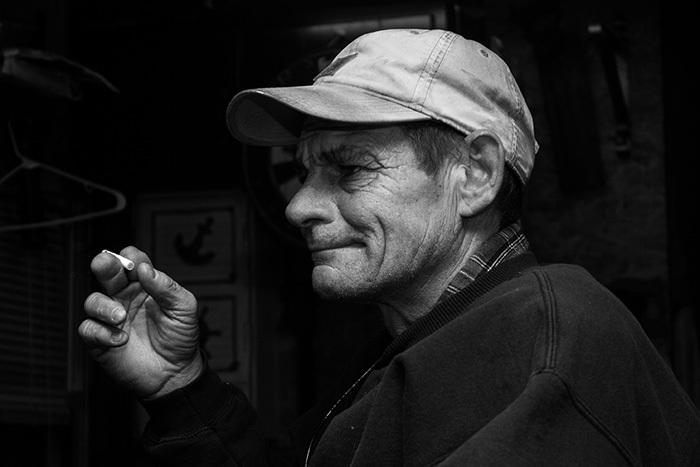 Bruce Bennett relaxes after work in the shed behind his home in Nahant, Mass. During the day, Bennett works for the Nahant Department of Public Works. 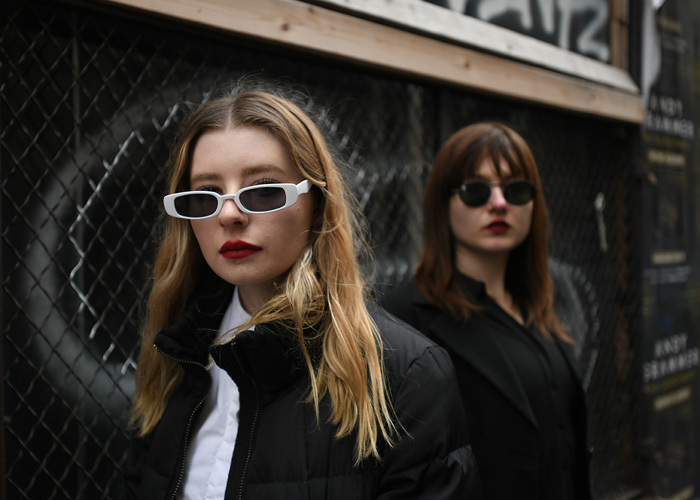 Oona Baker and Charlotte Somerville pose in downtown boston during a shoot directed by Rafael Arturo entitled, “Le Sentiment Diamant”. 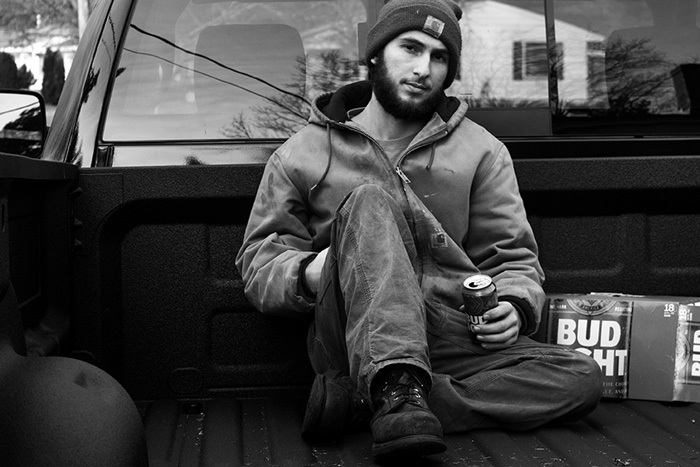 Curran Bennett photographed in the flatbed of his pick-up truck parked behind his house in Danvers, Mass. Bennett is a welder and uses the truck in the course of his business. Kenny Corey, a student at Endicott college, smokes a ‘juul’–an electronic cigarette–in her dorm room prior to heading to turning in for the evening.